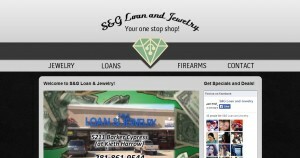 S&G Loan and Jewelry address, phone, website, hours of operation, and more. S&G Loan and Jewelry is a family owned and operated business in the great city of Houston, Texas. We carry all kinds of items in the store including top brand electronics, stunning jewelry, hand and power tools, musical instruments, and a wide variety of sporting goods and firearms. If you’re in the market for any of these, we’re your one stop shop! Not looking to buy, but need some fast cash? We’ll be happy to help you out with one of our quick and easy pawn loans. Our friendly staff will answer all your questions about acquiring a loan with us, payment terms, buying merchandise, and even layaway. Call us any time and we’ll get you a ball park quote over the phone for your item without even having to bring it in! On top of that, we always do our very best to get you the most money for your item(s). We offer 60-day loans with an unlimited number of extensions if you stay current with monthly interest payments. We’ll do this as long as need be and can always provide additional loans as desired at any point time. We are here to help, so come by today and see for yourself. And remember, S&G Loan and Jewelry is your one stop shop!